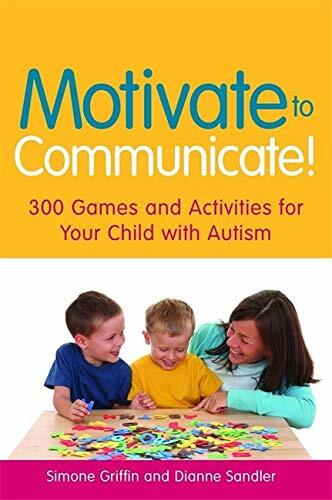 This practical resource is brimming with exciting ideas and guidance for motivating children with autism and other communication difficulties. The clear, user-friendly format enables quick access to over 300 practical, fun-filled games and activities for developing your child's communication skills. The book suggests creative ways to use everyday toys and objects. For example, if your child likes to pop bubbles, perhaps he would also enjoy counting bubbles, catching bubbles on a wand, stomping them with his feet or even playing bubble volleyball! The innovative ideas in this book have been developed over 40 years of clinical and educational experience, and are designed to be fun for both the adult and the child. All resources mentioned in this book are readily available and can be used to advance communication skills at all levels, from reaching out for an item, to extending verbal communication. Motivate to Communicate! is perfect for supporting parents, care-givers and professionals in motivating and developing the communication skills of children on the autism spectrum.